While a lot of people didn’t care for the sixth season of Showtime‘s serial killer drama, Dexter, it certainly seems to have laid some enticing groundwork for the series endgame. With season 8 being the end, the producers are beginning their final act with Dexter’s (Michael C. Hall) kid sister Deb (Jennifer Carpenter) walking in on him as he completed his latest kill. With two full seasons to wrap this up, they have plenty of time to generate a compelling, complex story to regain viewers and finalize the story in a manner that is fitting for the characters. 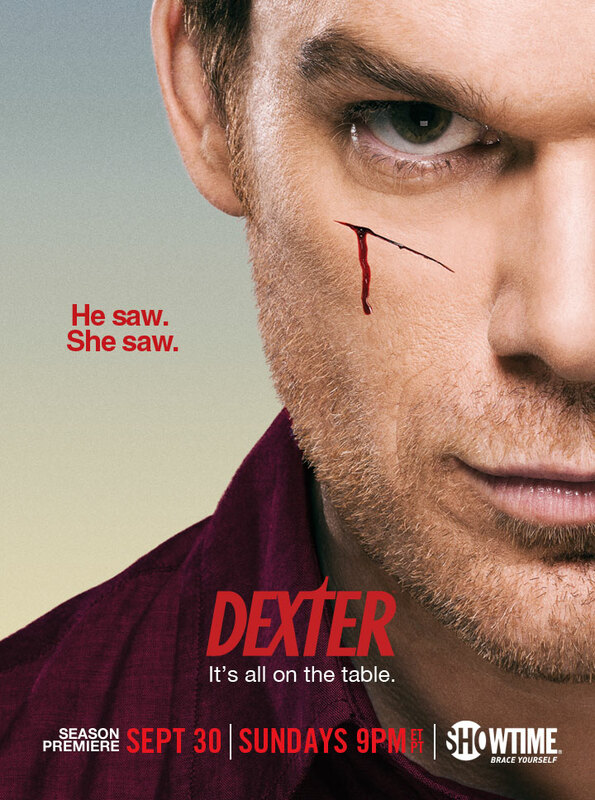 The seventh season picks up immediately where the sixth left off, with Dexter standing over the dead body and Deb gasping in disbelief. From there, a cover-up, guilt, indecision, love, grief, confusion and lots of questions arise. I don’t know if they will continue in the tradition of having a season-long hunt for a new killer or if the story will switch pace and examine the lives of this brother and sister and how they react to what is going on around them. I, personally, vote for the latter. But, we’ll see. The new season of Dexter starts Sunday, September 30 at 9PM EST.